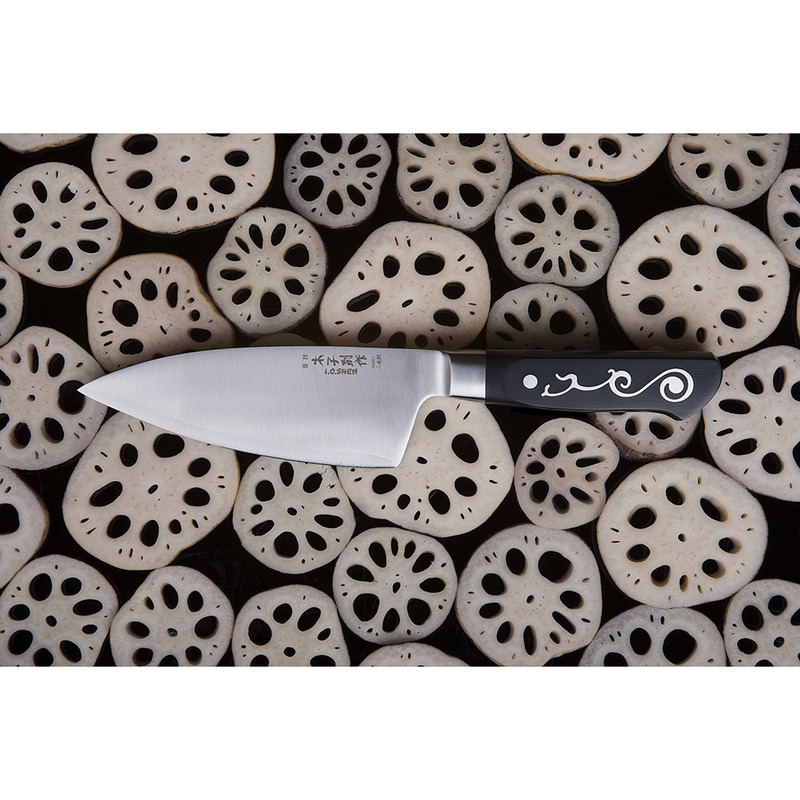 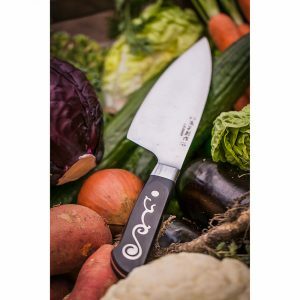 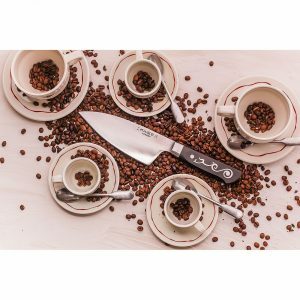 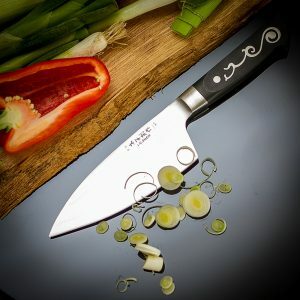 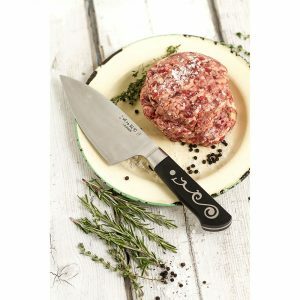 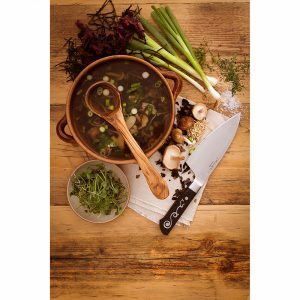 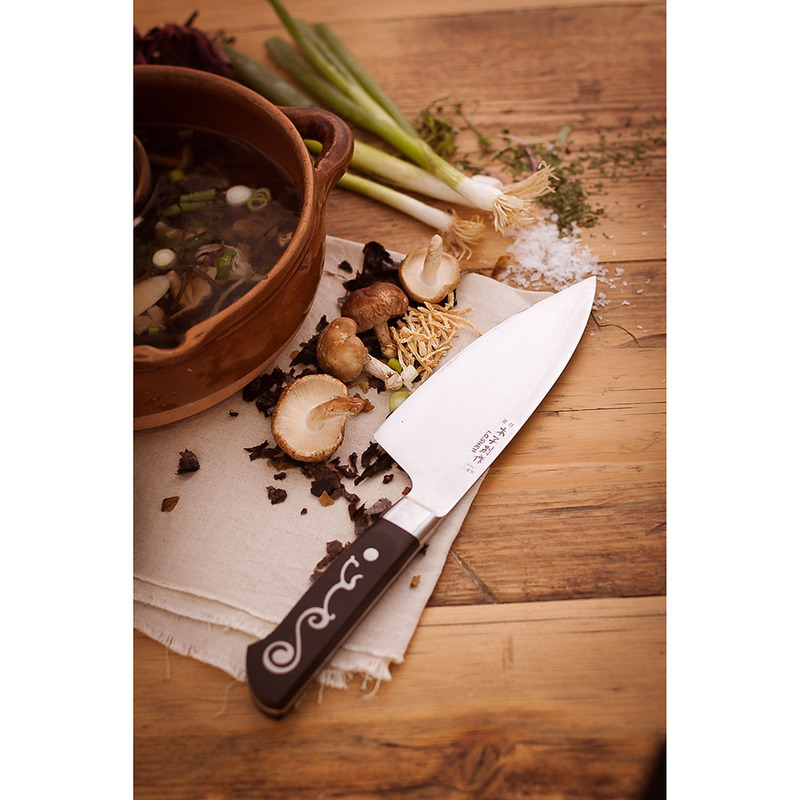 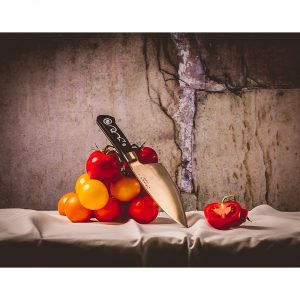 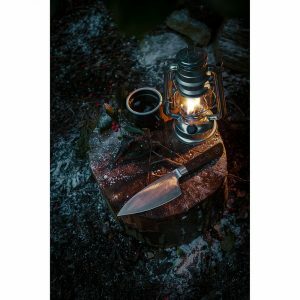 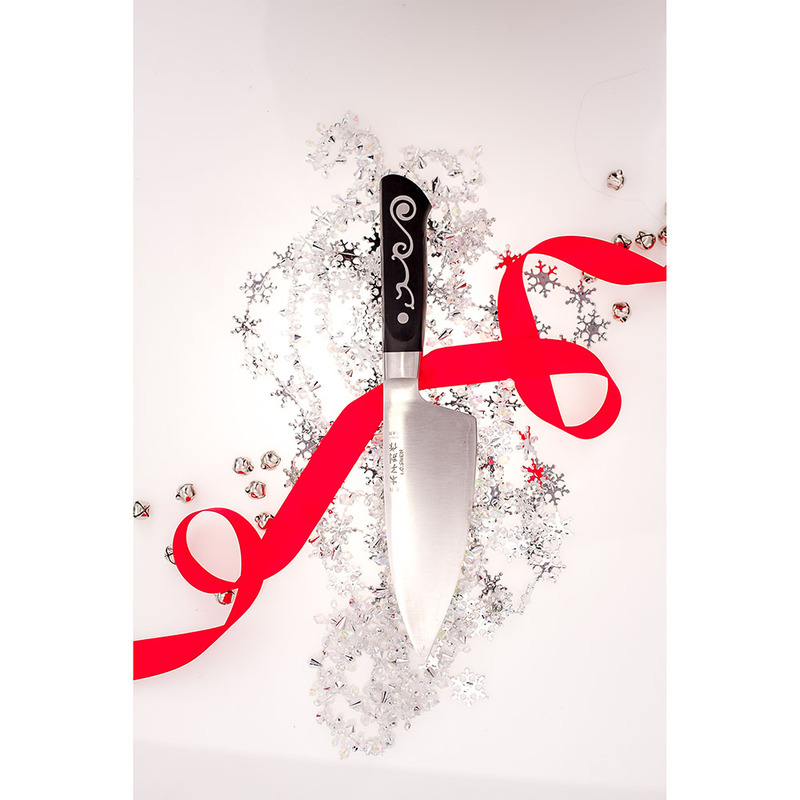 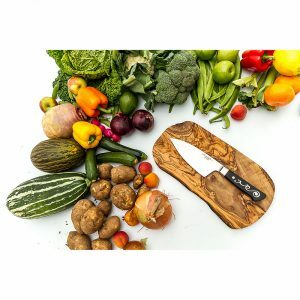 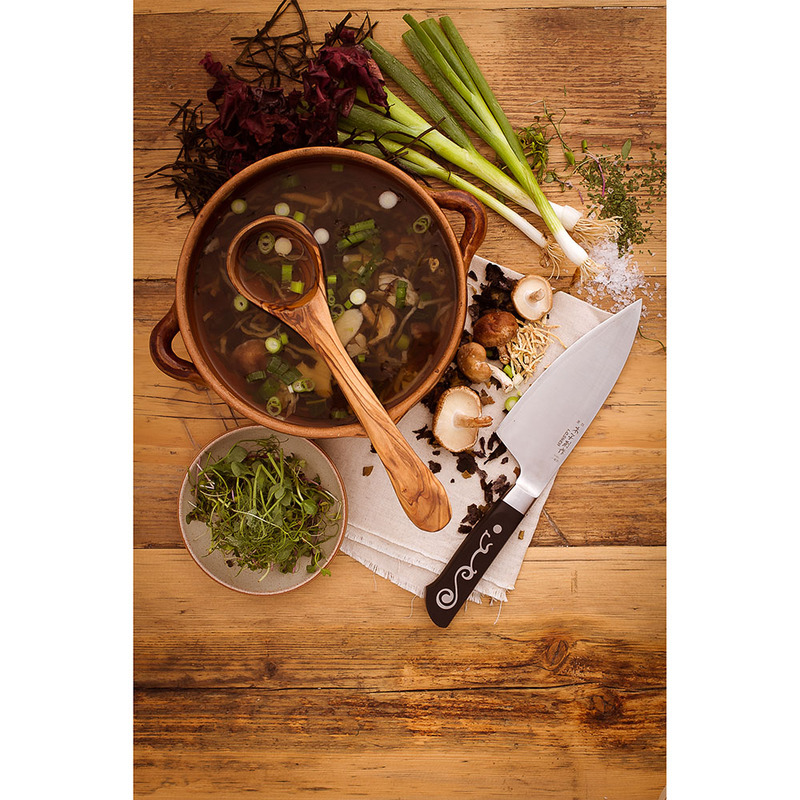 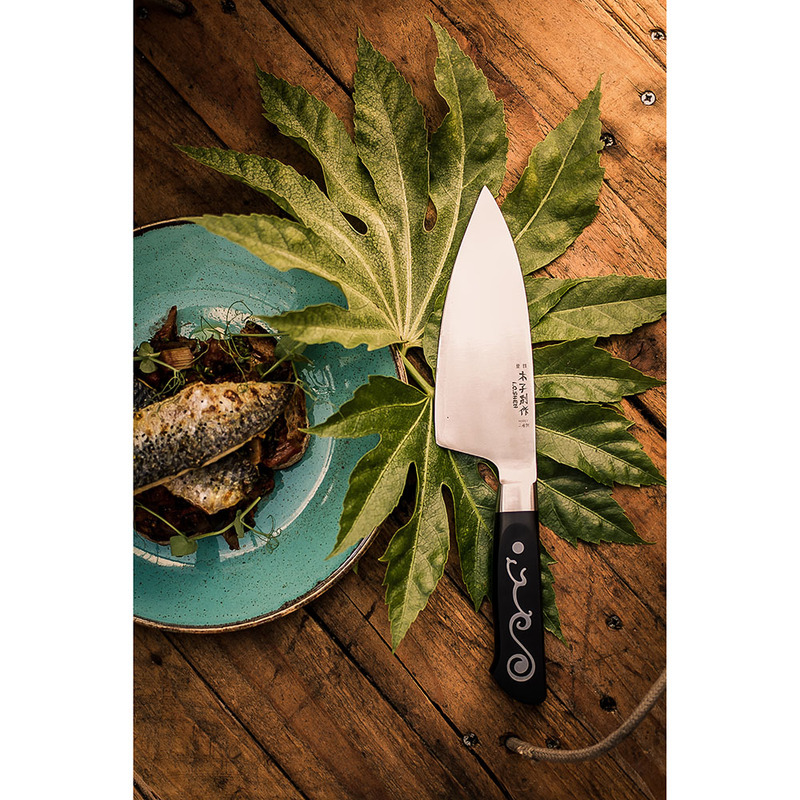 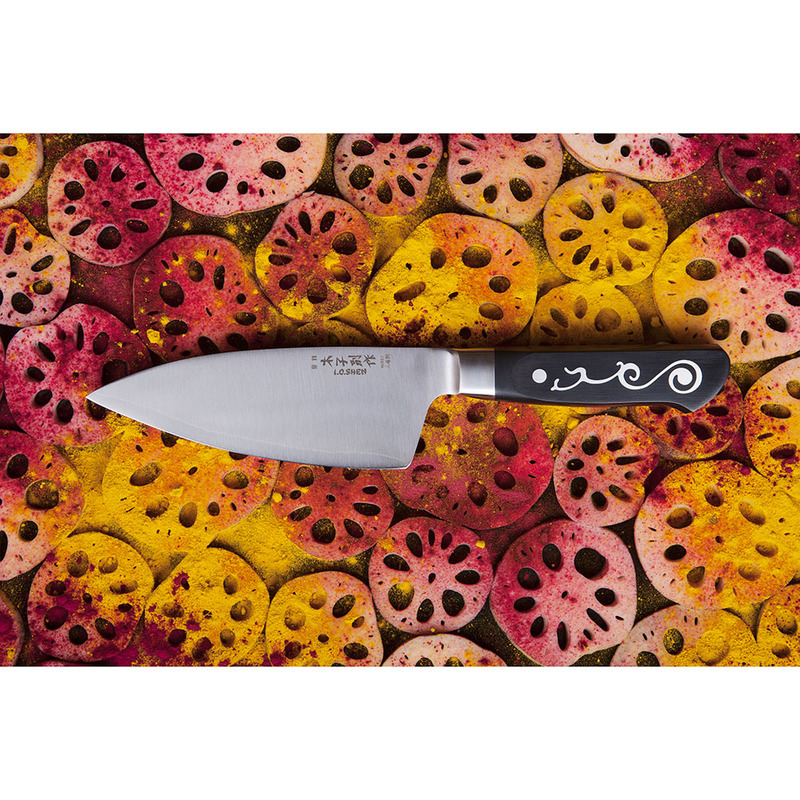 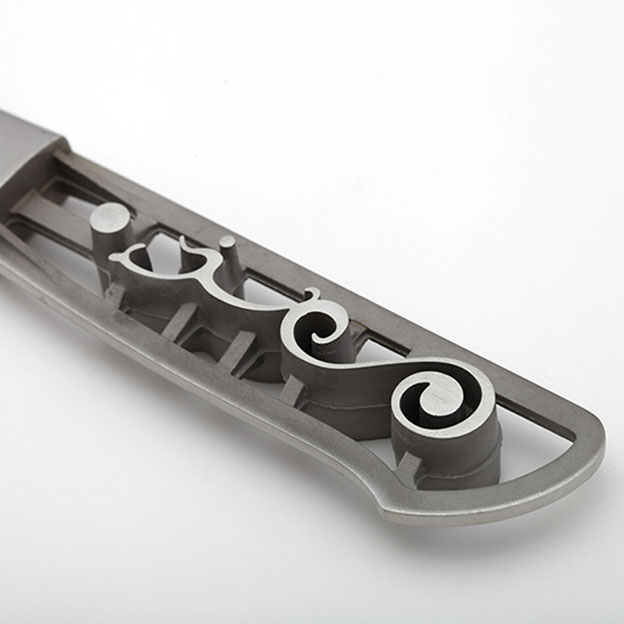 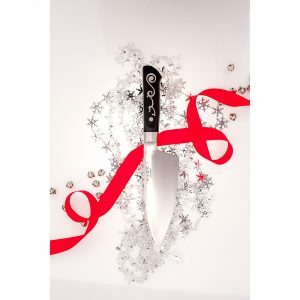 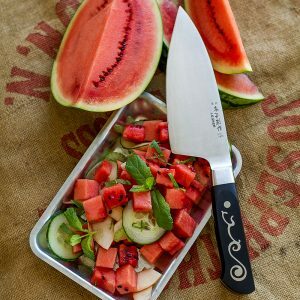 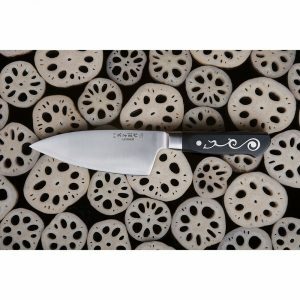 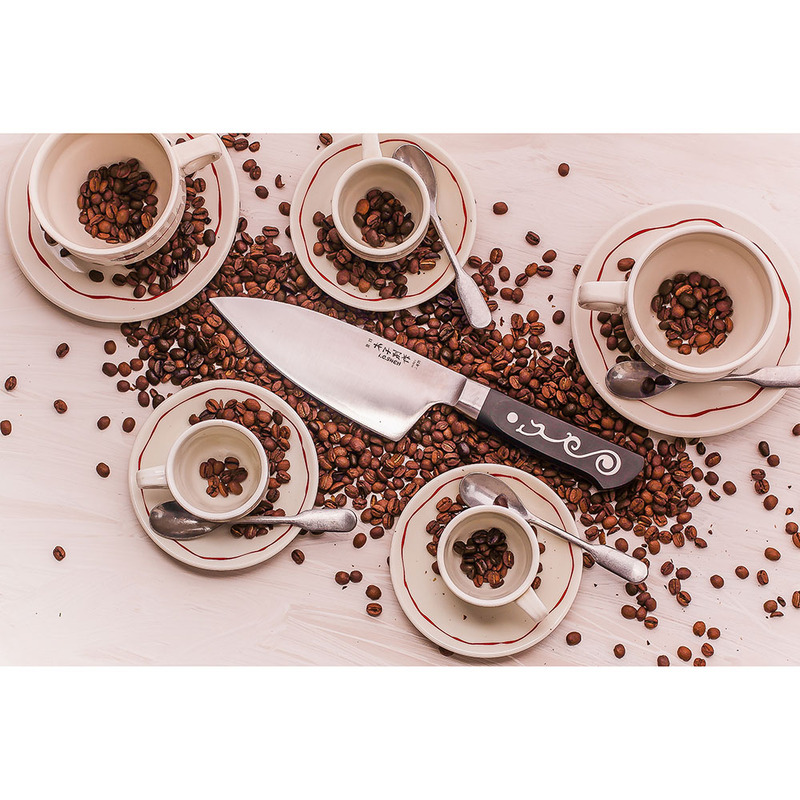 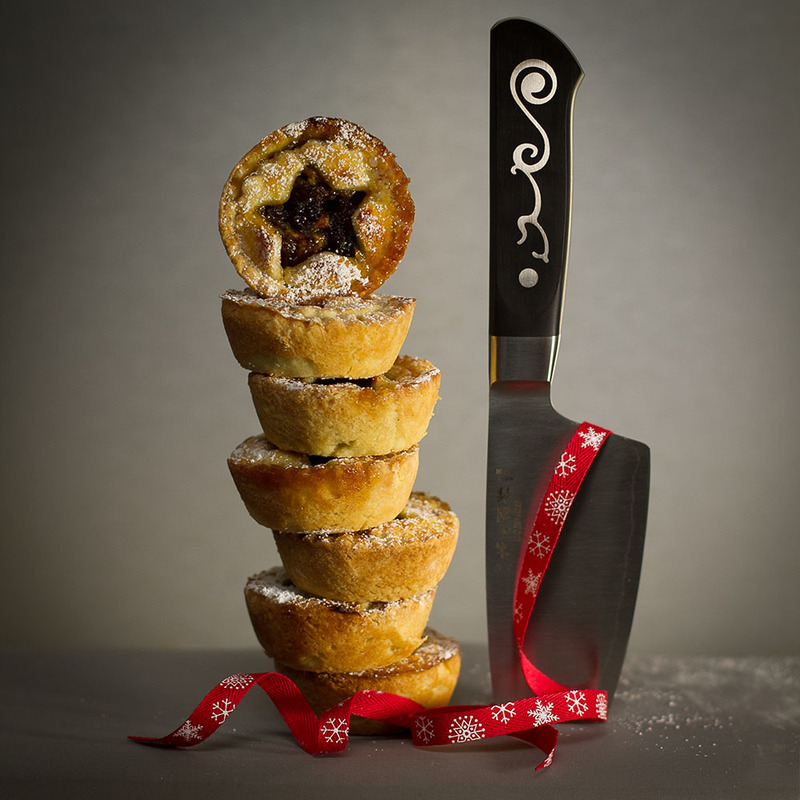 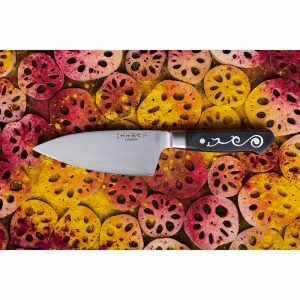 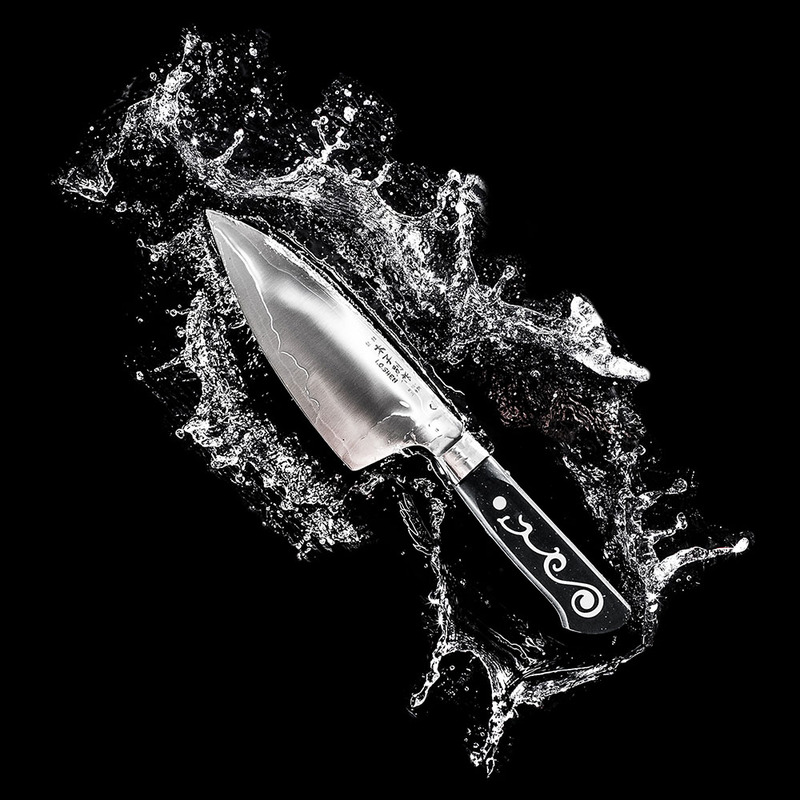 Designed to balance perfectly in the cook’s hand, this deep-bladed I.O.Shen Maoui Deba Knife was developed for I.O.Shen by Yorkshire chef Karim Maoui to be the sort of knife that chefs never put down and has been described by the Two Michelin Star chef, Daniel Clifford, as “a dream in the hand”. 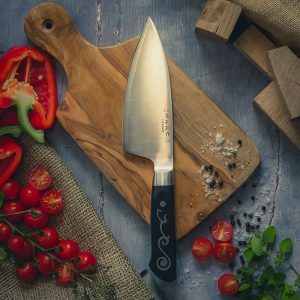 Deba knives were traditionally used in Japan for filleting fish, but this deep, well-balanced blade is a multi-functional knife that you’ll find yourself using for a multitude of tasks. 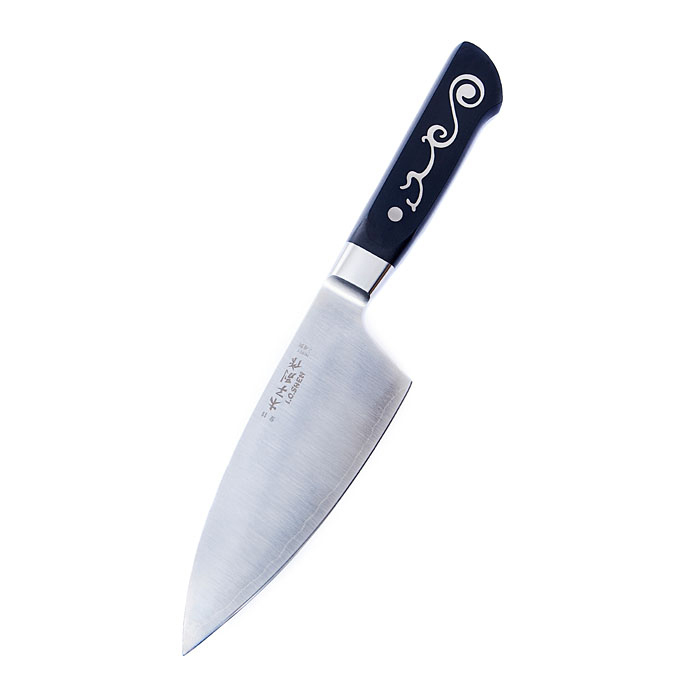 Unlike a traditional Deba, this blade is sharpened on both sides to suit Western chefs. 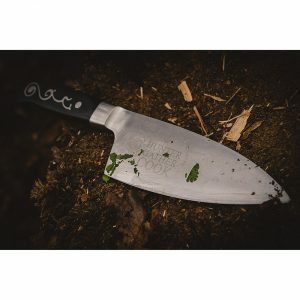 170mm in length and 57mm in depth at its widest point, it has a beautiful curve to the edge leading to an arrow head point. “Designed to fit and balance perfectly in the hand. For me, it’s the perfect compromise of the weight of a German knife with the exquisite cutting edge of Japanese craftsmanship” – Chef Karim Maoui, Designer. 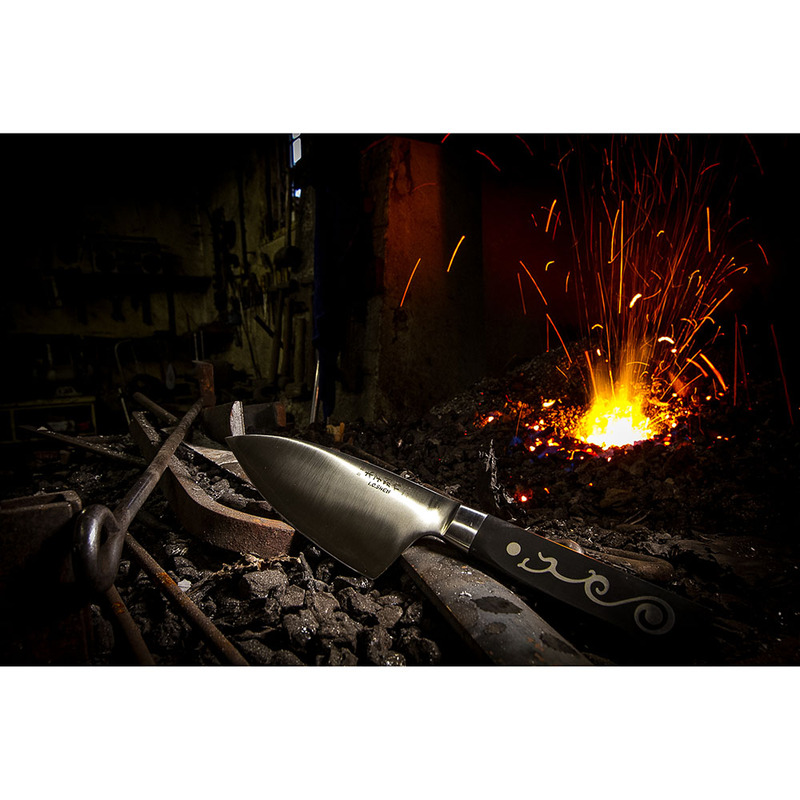 Click here for a recent review of the Maoui Deba knife.